With his official inauguration planned for May 14, Haitian President-elect René Préval faces a Brobdingnagian challenge in rebuilding his shattered country. Succeeding a U.S.-installed de facto government headed by Interim Prime Minister Gérard Latortue, which couldn’t have performed more poorly, Préval must search for a precise balance between the interests of foreign donor governments and bitterly divided domestic forces. In recent weeks, Préval has shown a genuine interest in consulting with the competing pressure points that will soon enough affect his new government. On the domestic front, there is a near consensus that Préval has inherited a broken country from Latortue. Because of this, once inaugurated, the new president will need to act quickly to prove his credibility after a questionable election process, which almost illicitly consigned him to an unwarranted run-off. He must also prevent a flare up of domestic political malcontents; create an effective coalition among the several parties in his government; and constructively assess former President Aristide’s possible request to return to Haiti. Not only has the president-elect initiated his efforts on the domestic front, but he has already made various strategic foreign visits, and has attempted to build a consensus with the international forces that have had a historic presence in Haiti, such as the U.S. and Canada. However, he is also attempting to form new alliances elsewhere, with Cuba and Venezuela for example, breaking away from a traditionally Washington-controlled Haiti. Préval’s victory is a positive sign for many of Haiti’s poor. His inauguration is expected to be the start of a hopefully more stable period for the island, after a lame period of interim rule under the leadership of former lending agency official Gérard Latortue. The controversial election period has left Préval in a somewhat tenuous position, and he will now need to juggle between the competing domestic political groups, while at the same time making improvements to Haiti’s shattered security, infrastructure and judicial systems. Perhaps Préval’s most daunting challenge will be managing the contentious situation surrounding Aristide’s exile. Préval won the Haitian presidency after a controversial election, which saw him obtain 51% of the vote only after a consensus arrangement was reached on how to tally spoiled ballots. The second round of parliamentary elections on April 21 attracted only 30 percent of the 3.5 million registered voters, to cast ballots for the 127 available parliamentary seats. While Préval’s Lespwa party won the most Senate seats (eleven), it fell five short of the number needed to appoint the country’s prime minister, which will force Préval to form a coalition government in order to pass legislation. The new Prime Minister will need to carefully be chosen by the Préval government, in order to ensure Haiti’s future political stability. Many of the island’s political weaknesses were exacerbated by the notorious interim government that preceded Préval. The departure of the hapless Latortue regime marks the end of a government that fundamentally disregarded human rights and the rule of law. Ironically, this government was set up and appointed by a band of self-serving international powers – primarily the U.S., Canada, France, and the UN’s Kofi Annan – in early 2004, just as the anti-Aristide forces were reaching Port-au-Prince. 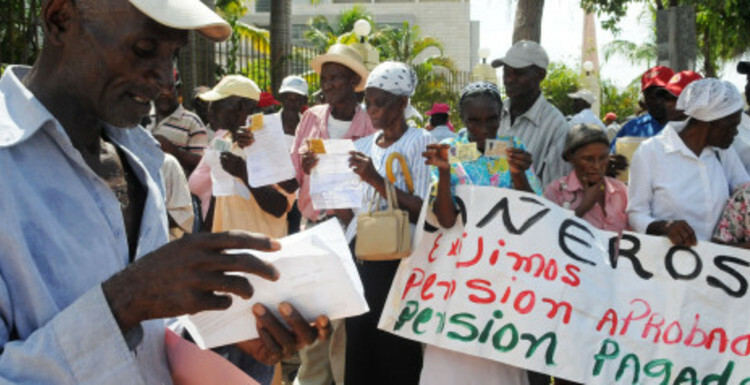 Human rights organizations such as the Haiti Support Group, several Latin American governments, as well as CARICOM (the Caribbean Community), accused the Latortue government of further darkening the country’s already shaky human rights record by arresting, torturing and imprisoning pro-Aristide government officials and supporters, including former Interior Minister Jocelerme Privert and former Prime Minister Yvonne Neptune, who still remain behind bars but most likely will be released the moment that Préval assumes office. Another domestic issue Préval will have to manage amidst divisive political groups in the country is former president Aristide’s possible early return to Haiti. The February 2004 coup, orchestrated by the U.S. State Department and backed by its confederates, ousted Aristide and sent him into exile in South Africa. They then installed former Boca Raton talk show host Gérard Latortue as interim Prime Minister. At the onset of Préval’s presidency, Aristide’s shadow lurks large amidst Haiti’s many uncertainties. Many Aristide supporters, as well as pro-democracy advocates, supported Aristide and are now inquiring whether Préval will allow his mentor to return to Haiti once he assumes the presidency. His many critics do not want to see Aristide come back to Haiti, at least for now, and the country’s elite adamantly argue on scant evidence that Aristide was becoming “dictatorial” and corrupt. The Latortue government accused the ex-president of stealing millions of dollars of state funds, which may be as much an auto-biographical statement as it is a serious charge against the former president. But Aristide has a tremendous influence among the country’s poor, where his popularity is immeasurable. Many of Préval’s supporters consider his Leswpa (“Hope” in Creole) and Aristide’s Lavalas parties to have almost identical agendas, and support the former president’s return. While a March Knight Ridder News report noted that “Préval has made it increasingly clear to foreign diplomats that he does not want the fiery former priest to return home any time soon,” in an interview with Dominion, Préval “reiterated his intention to uphold the Haitian Constitution’s ban of political exile,” which leaves the door open for Aristide’s possible return. Préval has simultaneously warned of possible corruption charges against the former president. While Préval and Aristide were close allies in the past, their relationship became increasingly distant during Préval’s first presidency from 1996 to 2001, and many fear that Aristide’s return would cause a resurgence of domestic violence between pro and anti-Aristide groups. During the Chilean presidential inauguration in March, Préval, South African President Thabo Mbeki, Brazil and several other international players – such as Argentina, France, and Chile – discussed Aristide’s possible return and its likely implications. Préval will thus have to find a middle ground between Aristide’s domestic supporters and opponents, while taking into consideration the potential reactions of key international actors, among them the U.S., Canada, France, Brazil, Chile and Argentina, who fear that Aristide’s return to Haiti would cause unnecessary political turmoil and unrest, and could use the return to justify sanctions. While not only initiating efforts domestically, Préval has started to actively engage with the international community, particularly regarding the flow of international aid which is crucial to building up Haiti’s economy. His efforts in this area must be stellar, since the island nation has historically been impoverished and dependent on – and thus controlled by – foreign donors. During his predictable visit to the United States in late March, Préval met with President Bush in Washington to discuss financial assistance, and visit institutions such as the United Nations – where he requested the continuing presence of MINUSTAH (the United Nations Stabilization Mission in Haiti); the World Bank; the Organization of American States; the Inter-American Development Bank; and the IMF, all venues where he requested long-term development aid. Préval also paid a visit to Ottawa for a series of meetings with Canadian officials, including Prime Minister Stephen Harper, to remind the officials of the importance of their country’s goods and assistance to Haiti. In his conversations, Préval emphasized the recognition of dual citizenship for the Haitian Diaspora in Canada, and the need for foreign investment and tourism in Haiti’s future, which would undoubtedly lead to increased economic development and more stable conditions in the country. Prime Minister Harper promised continued support of the Caribbean nation, indicating that the relatively new Conservative Canadian administration views Canadian financial assistance to Haiti as a priority in the two countries’ relationship. Ironically, during Préval’s visit to Ontario and Quebec, Interim Prime Minister Gérard Latortue who is to leave office on May 14, asked the Canadian government to lift the travel ban on several former Haitian officials (accused but not charged of human rights abuses), stating “Help us, forget about that… give a chance to all Haitians now to be able to reconcile once again and be able to work together,” according to the Canada-based newsletter Embassy. Préval has also moved his diplomacy into new international arenas, somewhat to the dismay of Washington, which already warily associates him with Aristide—who the State Department abominated. In April, Préval visited Cuba and Venezuela, where he discussed aid in health care, education, and electricity. The Préval-Castro meetings were particularly significant since the country is in dire need of the doctors Cuba could provide, as well as medical training for Haitian students in Cuba’s universities. Following the Havana visit, Préval had a 24-hour stay in Venezuela on April 24, where he discussed with Chávez possible Venezuelan aid in health and education, as well as Haiti’s entry into Venezuela’s Petrocaribe program, which provides poor Central American and Caribbean nations with discounted or bartered oil. Assistance from Cuba and Venezuela could play a key role in Préval’s attempt to rebuild Haiti. Importantly, Préval made his first visit to the Dominican Republic in March, where he dialogued with President Fernandez on the vitally important immigration issues that dominate the relationship between the neighboring countries. Préval then continued to Brazil, where he met with Brazilian president Luis Inacio “Lula” da Silva, to discuss infrastructure projects, as well as thank Brazil for its troop support in Haiti under the Brazilian led UN mission MINUSTAH, later traveling to Argentina and Chile. Washington will, as always, be scrutinizing what is happening on the island. Policymakers are undoubtedly troubled by Préval’s ties to Aristide and his decision to build relationships with such “pink tide” countries as Venezuela. What the U.S. mainly wants from Preval is to get Haiti off its agenda as soon as possible and at the lowest cost. It also will insist that Preval clamp down on any revival of the “boat people” trying to illegally enter this country. This is, of course, Washington’s primary concern, as a renewed instability would lead to a higher number of illegal Haitian immigrant boats floating towards Florida’s shores, a problem Washington is eager to avoid. This may give Préval some much needed autonomy to formulate policies and build alliances that, while untraditional, may ultimately benefit Haiti. Thus, Préval’s attempts towards domestic, as well as international cooperation, including Cuban and Venezuelan aid to Haiti may not produce an immediate backlash. For decades, until the present, the State Department has been content to allow lower policy standards, based on the working philosophy that since it is only Haiti, the best need not be required. As Florida Governor Jeb Bush prepares to lead a U.S. delegation to Haiti for Préval’s official inauguration on Sunday, unfortunately very few will be watching the situation closely and carefully.